Something strange happened to me today. I was sitting on my computer, working at my day job as usual, when all of a sudden, a wild hawk flew down from the sky and landed outside the window. There are seven windows in the office, but the hawk chose the one next to me. There is 52 feet of fence, but the hawk chose to sit closest to me. In fact, the hawk was only ten feet away from me, and it just stood there and looked me in the eye. I admired its beauty and tried not to move, so I didn't spook it. It turned and cocked its head a bit. I thought, That's odd; I wonder what it's doing. Then it occurred to me: it was listening to my music. The windows were closed, but I had the music kinda cranked, so you could still vaguely hear it outside. Some days, when I'm working on something simple, I listen to music while I work. In this particular case, I was listening to the song Wishmaster by the band Nightwish. I've mentioned in other posts that I have a strange taste in music; here's another good example. Nightwish is halfway between opera and heavy metal, and the song Wishmaster is the first one I heard of the entire genre. I liked the song so much, I bought the CD. Then I bought all of Nightwish's CDs. Then I bought dozens of CDs from just about every band in the same genre of female-fronted metal: Epica, Within Temptation, Amberian Dawn, Coronatus, Warlock, Dark Moor, Stream of Passion, Edenbridge, Evanescence, Holyhell, Hydrogyn, Leaves' Eyes, Delain, Lyriel, Lunatica, Visions of Atlantis, Xandria, Amaranthe, you name it. Now I'm not trying to extol the virtues of female-fronted metal; everyone has their own taste in music. In fact, there's a lot of negativity in that style music, and I don't want to spread that negativity. But there was just something about that one song--Wishmaster--that embodies how I like to think of myself. We're all masters, teaching one another. We're all apprentices, learning from one another. I like to think of myself as Heartborne: carried onward by my heart. I think to think of myself as a seeker. Having studied Tai Chi, Chi Kung, and the writings of Carlos Castaneda, Dan Millman, Ken Eaglefeather and others, I also consider myself somewhat of a warrior. I've studied the religions of the world, so I consider myself a disciple. And yes, even a wishmaster; one of the chapters in my latest book, Answers Within is about manifesting, so the title seems fitting. 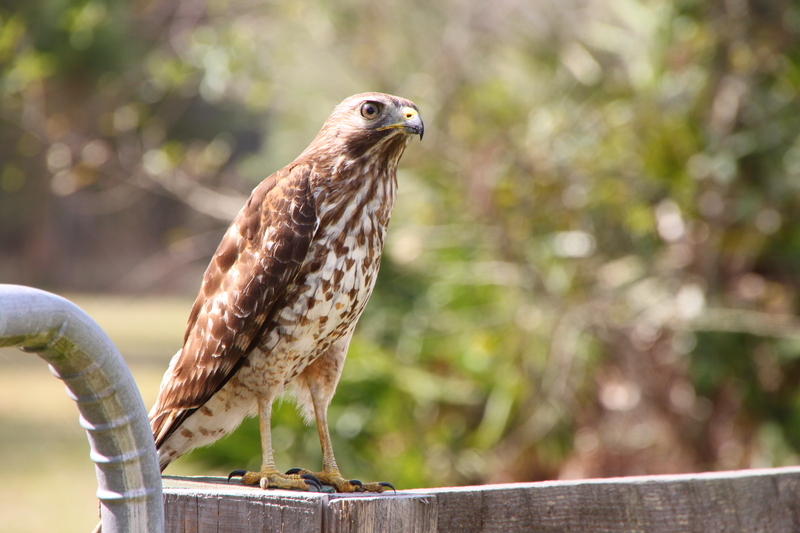 As the hawk flew away, my inner voice said that the hawk came to remind me of who I am, which was all those things. I'm here to remind you: you are all those things too. 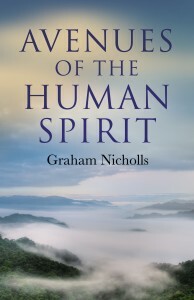 Sunday night I finished reading Avenues of the Human Spirit by Graham Nicholls and here's my review. A few months ago, I discovered and read the book Navigating the Out of Body Experience by Graham Nicholls, and I enjoyed it very much. Later, I discovered it was actually his second book, and that he had written an earlier book called Avenues of the Human Spirit. Naturally, I had to get it. Avenues is not about out-of-body experiences, so if that's what you're looking for, get his second book instead. This book is about the author's personal journey to discovery. It's about spirituality, and where his OBEs have led him. It's about his rejecting the distractions, the violence, and the "noise" that fills so many people's lives, to discover the spiritual, the sacred, the silence. This book really resonated with me. The reason is: My path was very similar and I did a very parallel thing. Like Nicholls, I too started out with OBEs, and they led me on a journey of learning, spirituality, and discovery. I chose to write my OBE book first, and my "journey of spirituality" book, Lessons Out of the Body second, whereas Nicholls did it in the opposite order, writing Avenues of the Human Spirit first. The book starts out with an ordinary kid, growing up in inner-city London. (I grew up in inner city Minneapols). He had a few decidedly paranormal experiences as a child (do did I). He gets mixed up in decidedly worldly problems and distractions (so did I). Then he discovers OBE, and it turns his life around. Suddenly he starts to see the importance of spirituality. He begins to read books and engage spiritual teachers. He starts to reject the social norms of his parents and community; embracing things like meditation, OBEs and vegetarianism. In some ways, Nicholls reminded me of the young Parmhansa Yoganada, the famous author of Autobiography of a Yogi, who eschewed the ways of his parents and kept running away from home at an early age to find God and pursue a spiritual life. There's another way Nicholls and I are alike: although he had friends along the way, much of his spiritual discovery was done alone. He didn't inherit his spirituality from other spiritual or psychic traditions. He didn't study under a spiritual master. He took guidance from a few sources, like Herbie Brennan, but it wasn't the focus of the book. Much of his spiritual path was carved out of the forest by his own hand (and sometimes in a literal forest). When we reclaim our awareness and walk the streets and byways with open eyes we shift ourselves into a new way of being. There is no technique to spiritual transformation, there is only a revolution within the life we lead, a tangible move towards liberation. There is a choice to remove the unnecessary, the stuff we have learnt to depend upon, and to embrace the things that awaken something deeper in your life. It is not through a philosophical change that spirituality truly grows, it is through direct contact with something greater than we could imagine before. There is the value of direct spiritual experience; not being content with reading someone else's philosophy or going to someone else's church; not being a follower, but finding your own path. Travelling holds the key to renewal and inspiration; the new and the unknown open our perceptions, challenge and mould us into new forms. In my own attempt to outline a spiritual philosophy I have held in the forefront of my mind the belief that these ideas will grow and evolve over time. I also remember the humility of not knowing. When we approach any knowledge I believe it is extremely important to have the humility to say you don't know. There are many ideas about spiritual and psychical reality but the best position is to be aware that we might not be correct in our perception of reality. In fact we should be aware that it is actually highly likely that we are wrong. Very well put! Or as the Styx song "Borrowed Time" puts it, "The more I learn, well, the less that I know." We all start out young and innocent. When we find "The Truth" it's tempting to think that you've got all the answers. And it's tempting to want to teach others. But the deeper you probe, the more you discover your own ignorance. Eventually you reach a point where you want to throw up your hands and think, "It's useless for me to teach anyone anything, because the truth is so far beyond me, it's impossible to comprehend." Later, you come to the realization that you've been travelling along the same road as millions before you, and you've just been reading the signposts. Later still, you see the value of sharing what the signs say to others, with the full knowledge that the story will change. The signpost you read ten years ago will be made obsolete by another, and another, and another. And yes, it makes you humble to realize your own ignorance. It boils down to what the Tao Te Ching says: "Those who know do not teach. Those who teach do not know." And "The Way that can be taught is not the Way." Still, there is value is shining a light to illuminate your path for others to see, even if you know it will be useless to both you and them in ten years. Do I agree with everything the author says in this book? No, of course not, but that's not the point. The point is to see beyond the entrapments of this physical world and reach for something deeper. Avenues of the Human Spirit is a very good book, and I recommend it. If you're expecting it to be an OBE book, it is not. But I can say the same thing for my own book, Lessons Out of the Body. In both books, the OBE may be a catalyst, and can provide lessons, but both books are collections of personal spiritual tales. They put an emphasis not on OBE, but on the spirituality and where the OBE can lead us. It's not about the experience, but the journey along the way.